Jet has taken their popular 14” 1-3/4 HP bandsaw—which was introduced in 2013—and has come out with a new option with more power. 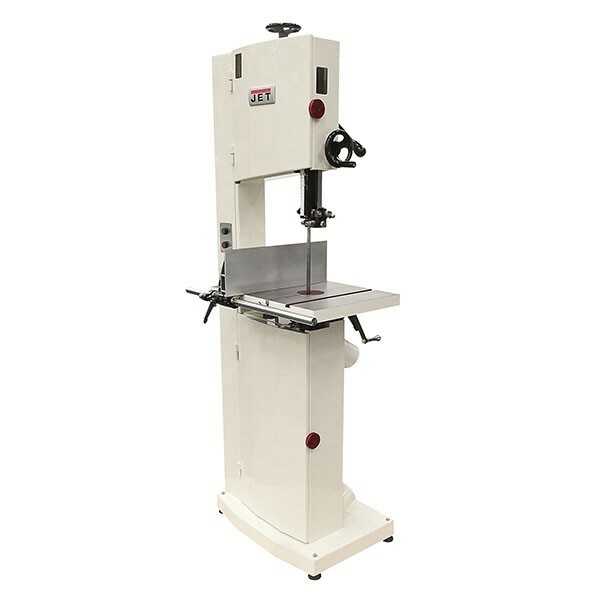 The new Jet 3 HP 14” Bandsaw has all of the great features from the previous model, but now it has even more power. 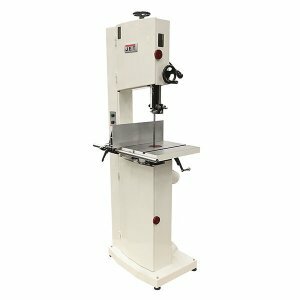 With a large resaw capacity of 13-1/2-inches, you do not want your saw to bog down in hard woods. Thanks to the 3HP single-phase 230V motor, the Jet 14-inch should have all the power you need. Like the 2013 model, the saw is built on a steel frame with a wide base. Weighing in at 360-pounds, there is little chance of it wandering around your shop floor. The precision-ground case iron table offers a cutting width of 13-1/2-inches, and tilts up to 45-degrees to the right and 10-degrees to the left. Like any good bandsaw, a miter slot is provided in the table. Accompanying the table is an aluminum extruded two-position fence that can be used for both thin material and for large resaws. The fence ride on a steel guide-rail and is adjustable with a laser-etched scale. For more precise work, there is also a micro-adjust feature.